Botox is a quick painless procedure that helps reduce the signs of ageing. 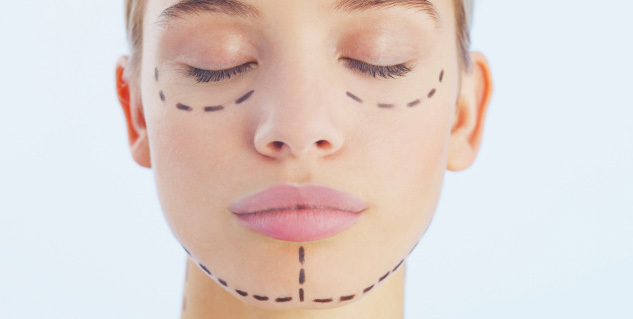 Non-surgical face-lifts is a safe, quick and painless way to get the effects of a face-lift. Filler Injectables are perfect way to create a youthful appearance around the mouth and eye areas. Surgical removal of ageing has been Bollywood’s favourite solution to its “imperfection” woes. In lieu of a perfect nose, lips or even chin, little attention is given to the complications that going under the knife or taking the needle can have. Ask questions about the exact details of the procedure. Reams and reams of material, and more than that in terms of money have been dedicated to turning the clock back. Do you wish to knock the years off? If yes, then read on to see if anti-ageing services could be the mantra for the future. A fervid dream, we all have, is to turn back the clock and retain our youthful look and beauty. Creams and poultices right from the time of Cleopatra have, of course, made their contribution to our efforts. The miracle of modern science,however,cannot be too far behind in giving us a few solutions to the same problem. Here is looking at the latest anti-ageing cosmetic treatments in the market, and if they really work. The latest addition to the miracle cure mania, Botox is a patented formula guaranteed to fill wrinkles and give you smooth youthful skin you have been longing for. If you think it's just another fad, a look at the impressive celebrity list that has already gone in for the Botox needle includes the who's who of Hollywood like Madonna, Liz Hurley and Kylie Minougue. 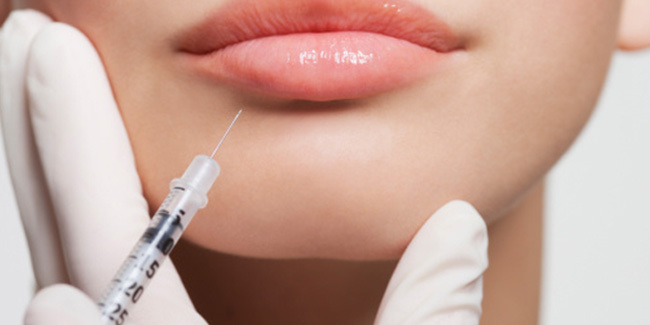 Botox is a quick painless procedure that helps reduce the signs of ageing. This miracle drug is injected directly into the muscle to be treated and it becomes paralysed. This alleviates fine lines and wrinkles and smoothens the skin out. Effects last between three to six months depending on the skin condition. The product itself is purified protein produced by the Clostridium botulinum bacterium. It works by temporarily reducing the contractions of the muscles that cause those persistent frown lines over time. Approved by the Food and Drug Administration and a patented service, Botox is offered in India by Kaya Skin Clinic. Dr. Neychelles Fernandez, dermatologist at Kaya says, "Botox is a registered service and can only be administered by trained doctors. Like any other dermatological service you should only go to someone offering legitimate services as it needs to be monitored properly. If correctly done, it is totally safe and effective and gives you the results you want." The side-effects are usually mild bruising or soreness from local injections that you receive at the affected area. Apart from that, incorrectly administered Botox or not the best quality drugs can leave you with a medical condition called, 'heavy lids', causing your eyelids or skin areas to sag and droop. Of course, not to mention the fact that you will need a little patience and fortitude as one session that lasts for ten minutes means receiving about five or seven tiny injections at a time. An average sitting costs about Rs. 4,000/-. The next best thing after Botox, Non-surgical face-lifts is a safe, quick and painless way to get the effects of a face-lift. Ideal to remove sagging lines around the face and neck, laugh lines and crows feet, micro-current facials are being offered at most reputed skin clinics. In micro-current facials, small bits of current are passed though skin muscles to create a smooth surface and revive tonacity in sagging muscles. each sitting can last more than an hour. These filler Injectables are perfect way to create a youthful appearance around the mouth and eye areas. They also help in shaping contours such as cheeks, chins and correcting deep folds. Needed to enhance youthful appearance, these too need to be regularly kept up to create the right look. Dr. Fernandez of Kaya adds, "Most people walk in expecting miraculous results. Side-effects if any, happen only when they wish to ignore dermatologist’s warnings and go in for such services within a short span of time. As all services are working on the upper superficial layer of the skin, they need a gap of two weeks to a month before being repeated as anything before that can cause damage to the skin. Though other side-effects rarely happen, most people get upset when the effect wears off and the skin returns to its normal shape. That is why we recommend a maintenance routine." Like all other anti-ageing services, these are expensive and a complete package would cost Rs.15,000/- onwards. Pioneered by the French physician Dr. Michel Pistor in 1952, Mesotherapy is a minimally invasive procedure that is widely used in Europe and elsewhere to treat various injuries and medical conditions and is now very popular in India. This medical specialty targets problem areas with microinjections of conventional or homeopathic medicines, vitamins, minerals and amino acids. Tiny "medicinal bullets" are delivered directly into the mesoderm (middle layer of skin) that is highly specific to the condition being treated. Mesotherapy is a safe, natural alternative to invasive cosmetic procedures. The Mesolift process delivers vitamins, minerals and amino acids directly into the skin to nourish and rejuvenate, promote production of collagen and elastin and stimulate metabolism. As your skin ages, circulation decreases and the resulting reduction of oxygen and nutrients hinders your body's ability to flush out toxins. This is what drives premature ageing and causes the skin to develop an ashen appearance. After treatment, the patients commonly describe their skin as looking rested, radiant, glowing and firmer. Mesotherapy can be used as a supplement or an alternative to many anti-aging regimens including Botox, laser resurfacing, peels, antioxidants, topical creams and facelifts. Dolly Kapoor, a noted beautician in the city adds, "Mesotherapy is simple, non-invasive procedure that many women today are using for both weight loss and anti-ageing treatment. The only precaution you need to take is to go to a trained and certified mesotherapist as this does involve injecting vitamins and serums into your body tissue." Mesotherapy is also a highly effective rejuvenating treatment. The procedure can be used to tone and tighten sagging skin on the neck, legs, abdomen, arms and hands. In Europe, women often start treatments in their thirties, but Mesotherapy can prove valuable during any stage of a woman's life. Be aware that any anti-ageing service you go for is a combination package of intensive sittings initially and follow-ups all through after that. Here is a rough estimate of the amount of time you will need to have each service repeated if you go in for it. Photofacial: Repeat after a three week gap. In the end, anti-ageing services don't need to be surgical procedures under the knife. As long as you realise that going in for an anti-ageing procedure requires a lot of research, time and money, including a follow-up of whatever you are doing, you might just find it to give you the right lease of life or at least a few years.